Devout Muslims believe that Allah is merciful and that only he can forgive their sins. All human beings make mistakes, and Muslims understand that forgiveness from Allah requires that they recognize the error, take steps to rectify any harm they have caused, and actively beseech Allah to forgive their sins. Additionally, the sinner should feel sorry for committing the sins, resolve to abstain from committing them in the future, and avoid situations that encourage the sinful behavior. Using Allah’s names that reflect his attributes of forgiveness and kindness is recommended. These include "He who pardons," "He who forgives," and "The oft-forgiving." For Muslims, "prayer" is a term reserved for one of the five formal, scheduled prayers of the day. Other forms of communication with God are known as du'a, including the ones recounted here that seek God's forgiveness. 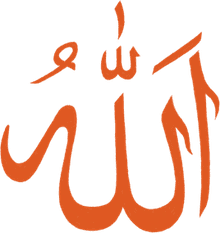 For Muslims, du'a is a different form of communication with God, a personal supplication that can occur at any time of the day, whenever one feels the need to communicate with God outside the five formal daily prayers. "Waqur rabbighfir warham wa'anta khayrur rahimeen." "So say, "Our Lord! Grant us forgiveness and mercy! For You are the Best of those who show mercy." "Rabbi inni zalamto nafsi faghfirli." "Oh my Lord, I have indeed wronged my soul!" "Rabbana innana amanna faghfir lana zonoobana waqina 'athaban nar." "Our Lord! We have indeed believed. Forgive us our sins and save us from the agony of the Fire." "Rabbana latu akhitna in nasina akhta'na rabbana wala tahmil 'alayna isran kama hamaltaho 'alal lathina min qablina. Rabbana wala tohammilna mala taqata lana beh wa'fo'anna waghfir lana warhamna anta maolana fansorna 'alal qawmil kafireen." "Our Lord! Condemn us not if we forget or fall into error. Our Lord! Lay not on us a burden like that which You did lay on those before us. Our Lord! Lay not on us a burden greater than we have strength to bear. Blot out our sins, and grant us forgiveness. Have mercy on us. You are our Protector. Help us against those who stand against faith." "Astagh firol lahal-lathi la ilaha illa howal hayyal qayyoma w'atooba ilayh." "Subhanakal lahomma wabihamdik. Ash-hado alla-ilaha-illa ant. Astaghfiroka w'atoobo-ilayk."